Don't have a chimney? 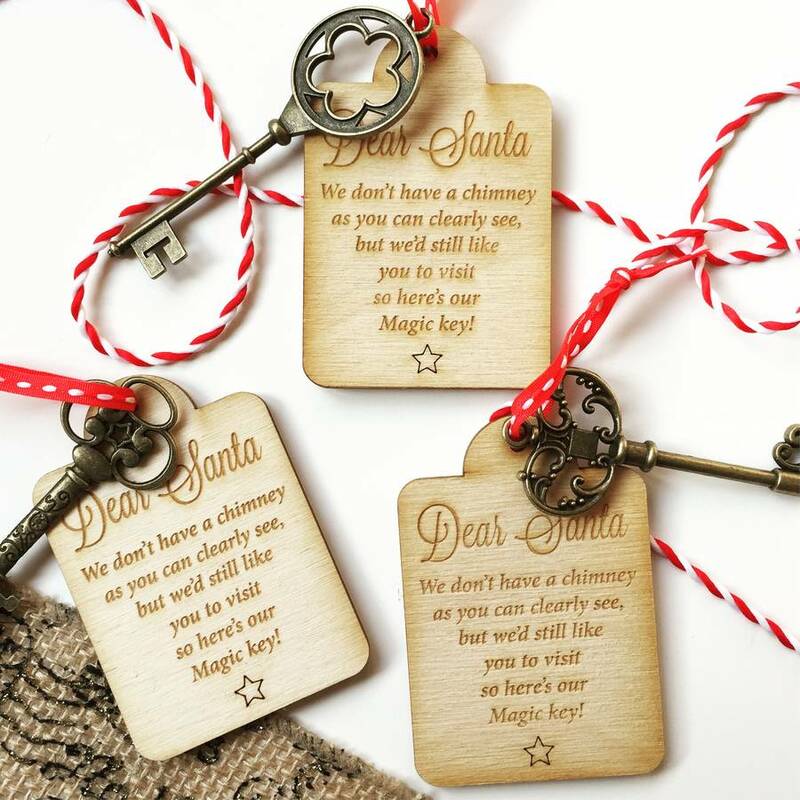 You don't need one with santas magic key letting the guy in the red suit come straight through the front door! 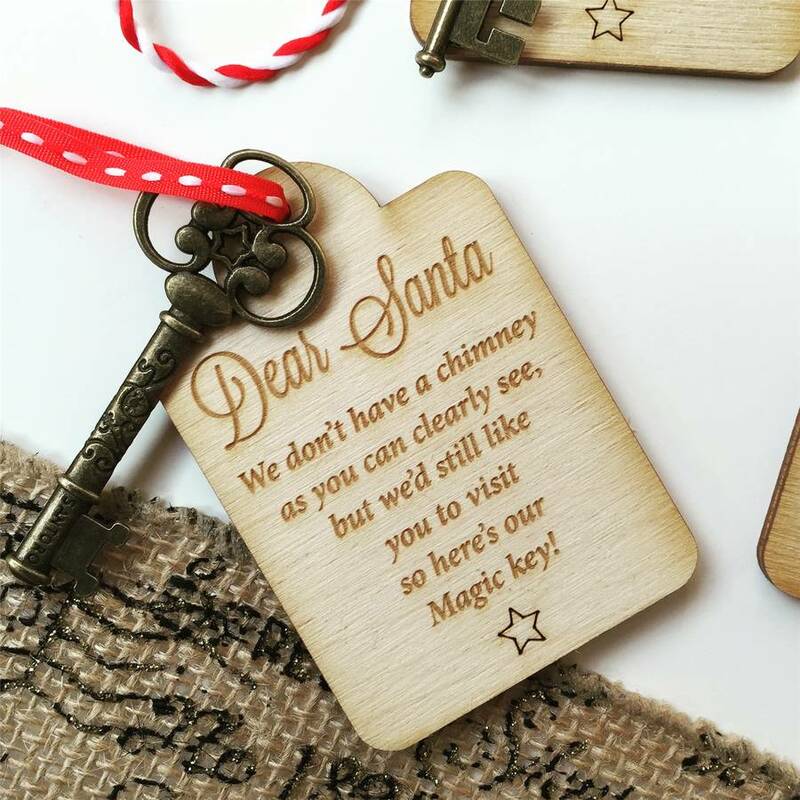 A beautiful keepsake for years to come and an extra special way to keep the magic of christmas alive! 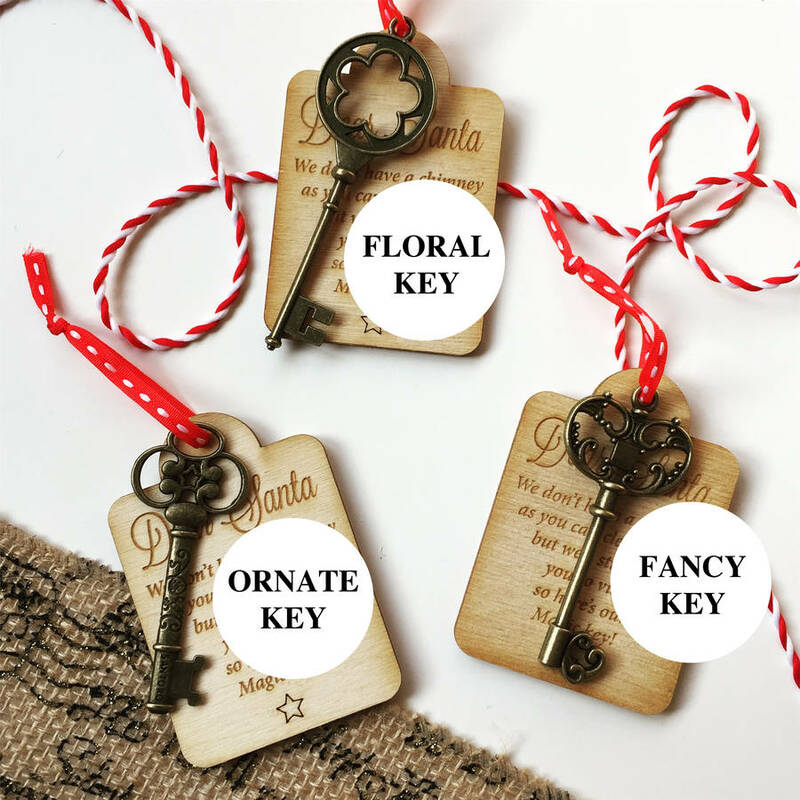 These magical keys are available in three different styles. The accompanying tags are all the same but the key shape can be selected from the drop down menu. Each key can be seen in the images with their description attached. 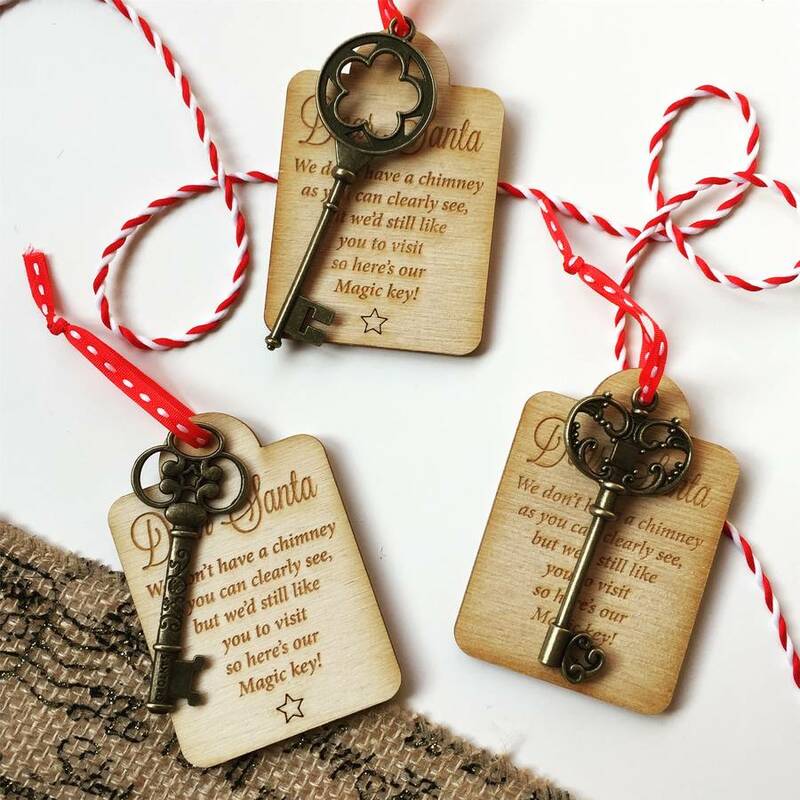 Each gift tag is made from rustic birch plywood. Please note to the natural qualities this can mean that colours and grain of wood will differ from piece to piece, every tag is completely unique! This product is dispatched to you by Design by eleven.